What is a SIP SoftPhone? 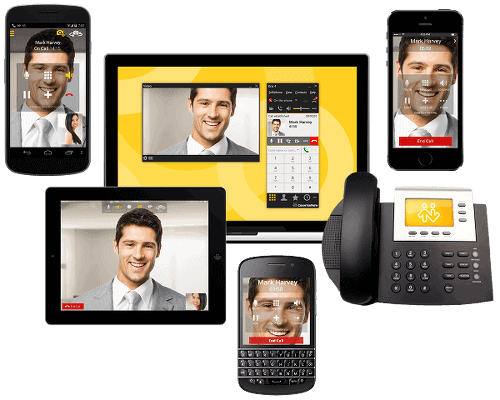 A SIP SoftPhone is an application program that places calls over the internet, rather than using the telephone network. Calling from a SoftPhone removes both the need for network access, and physical desk phones, as calls can be handled on any internet-connected device. You’ve put a lot of thought into your software/hardware mix, so you probably don’t want to make a lot of changes. And you won’t have to. Whether it’s SIP Softphone, desk phone, or VoIP software, babelforce is ready to connect. And because it works with anything, you’ll never need to worry about getting the most from your implementation. Whatever you use, we can work with it. When a contact center has poor voice quality, it’s falling at the very first hurdle. Voice distortion impacts every aspect of contact center operations, raising AHT, aggravating customers, and making life a lot tougher for agents. As a carrier-grade platform, babelforce can ensure that every call you make and receive beats the industry standard. The modern contact center operation moves fast, and your senior staff need to keep up. What’s the trick for keeping supervisors and managers connected, when they can’t afford to be chained to their desks? It’s simple really – deploy your contact center platform across a wider range of devices. babelforce works just the same across tablets and mobile devices, so senior staff don’t have to choose between their teams and their customers. babelforce really does work with everything. And that’s great, because you’ll never be limited in the technology mix you use. The best businesses experiment endlessly to find better ways to deliver their service, so whatever changes you want to make to your telephony infrastructure, you can. The same goes for your software too, from CRM to ERP to WFM – whatever changes you want to try, babelforce can handle.